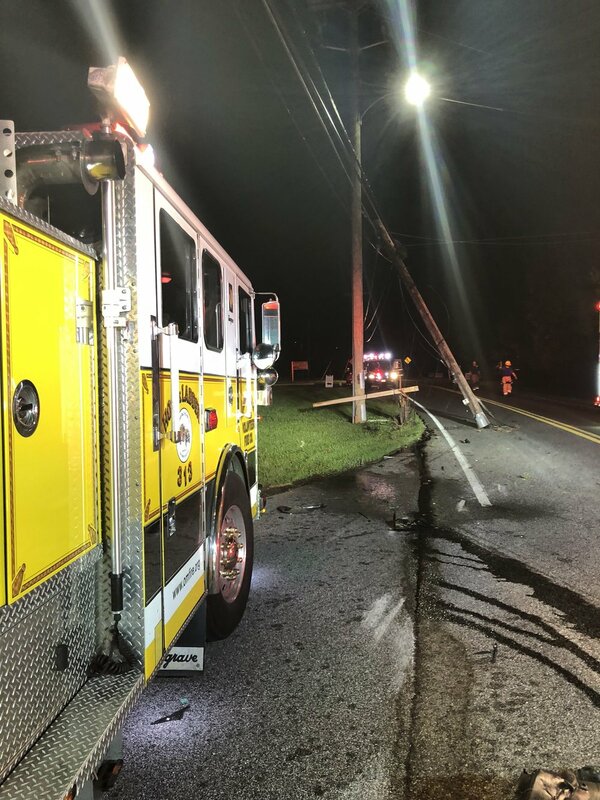 For the second time in the early hours of September 8th, and within an hour of returning to the station from a previous call, units from OMVFCo along with nearby fire stations, were alerted for a motor vehicle crash involving a single vehicle versus a pole. Initial reports stated that a vehicle struck a pole, and that someone was trapped inside. 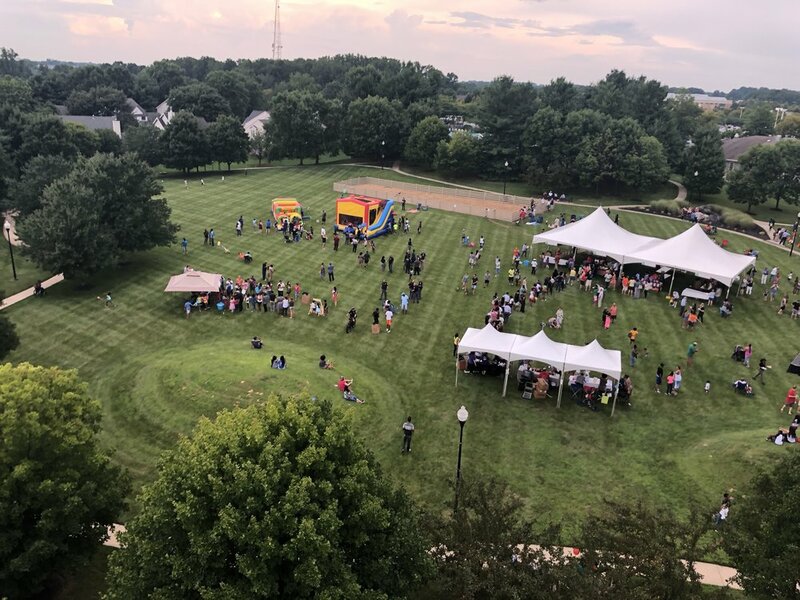 Truck 313 responded with several other units from Garrison, Pikesville, and Randallstown. One patient was extricated and treated for injuries. 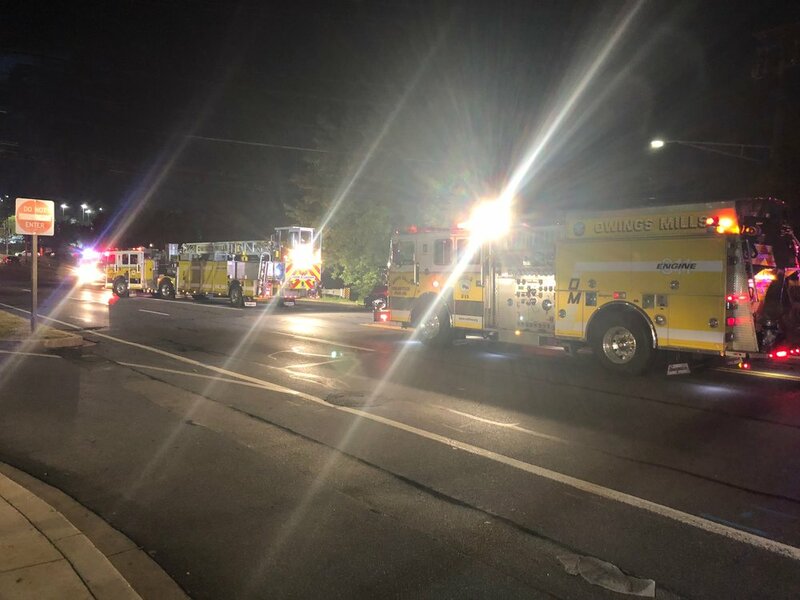 Just after midnight on September 8th, units from Owings Mills VFC, Garrison, and Franklin were alerted for a motor vehicle crash on Reisterstown Road at Pleasant Hill Road. Units arrived to find a vehicle flipped on its side and a utility pole sheered in half. The vehicle's driver had left the scene prior to the arrival of police and the fire department. Engine 312 and Ambulance 315 were alerted for motor vehicle crash with an overturned vehicle on Crondall Lane at 10:30pm on September 6th. Crews arrived to find a two car accident, with an overturned car with serious damage. Two patients were treated for injuries. 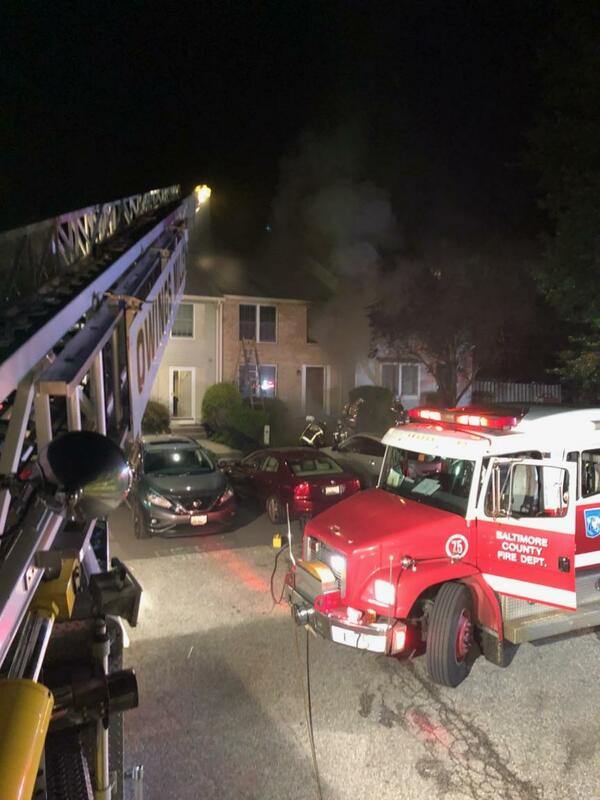 On August 28th just after 10pm, units from OMVFCo, Reisterstown VFC, Garrison, and Randallstown were alerted for a dwelling fire on Hunt Cup Circle in McDonogh Township. E312 and T313 responded along with other area units. Crews from OMVFCo assisted with securing utilities, ventilating, throwing ladders, supplying lighting, and finding a secondary water source. 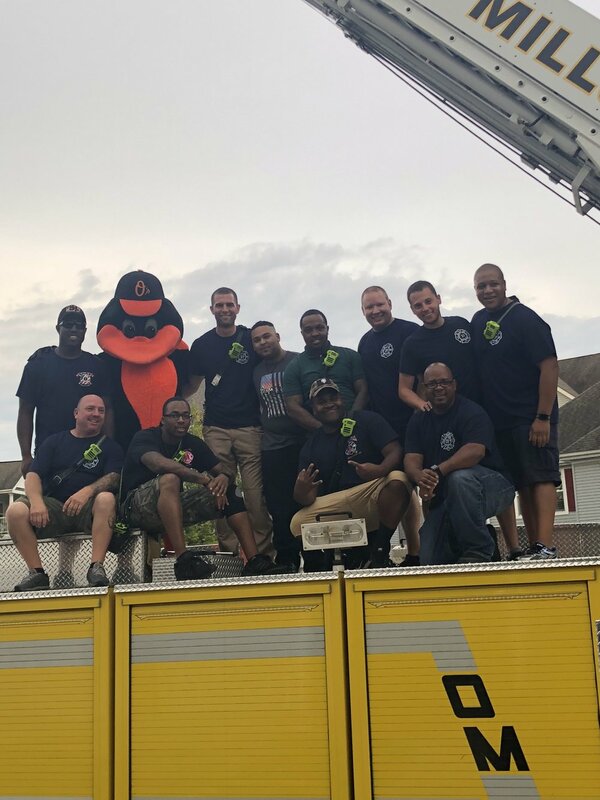 Just before 9pm on July 5th, Engine 312, Truck 313 and Medic 315 responded to a motor vehicle collision with entrapment at Reisterstown Road and Gwynnbrook Ave. Crews assisted patients out of the vehicles and provided medical care until additional medic units from Franklin Station and the Reisterstown VFCo arrived to transport the other injured parties to local hospitals. Reisterstown Road reopened after the police investigation. Photo courtesy of Ivan Opher. 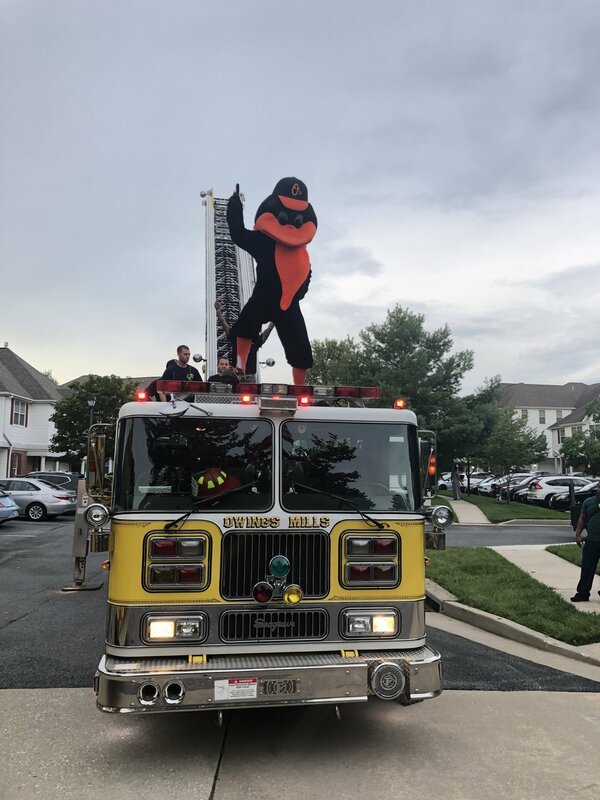 Just before 10:30pm last night, Truck 313 responded to the report of a car accident with rescue in the Chestnut Ridge area of Owings Mills. The 911 caller stated that a vehicle struck a pole and went off the road in the 11600 block of Greenspring Avenue. The crew of Truck 313 assisted units with removing the patients from the vehicle and with patient care.